The MySQL Protocol is proprietary. The MySQL Protocol is part of the MySQL Database Management System. As such, it falls under the provisions of the GNU Public License (GPL). 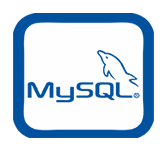 A copy of the GNU Public License is available on MySQL's web site, and in the product download. Because this is a GPL protocol, any product which uses it to connect to a MySQL server, or to emulate a MySQL server, or to interpose between any client and server which uses the protocol, or for any similar purpose, is also bound by the GPL. Therefore if you use this description to write a program, you must release your program as GPL. Contact MySQL AB if you need clarification of these terms or if you need to ask about alternative arrangements.